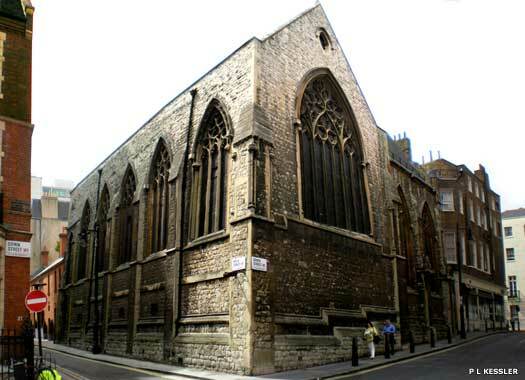 Christ Church Mayfair shares its premises with Bible Talks, located at 21 Down Street, on the north-west corner with Brick Street. It opened as Christ Church Down Street in 1865 for this section of Mayfair. With congregations falling, it closed for Anglican worship in the 1990s. It re-opened as an Evangelical church called The Bible Talks which brought a congregation from St Helen Bishopsgate. 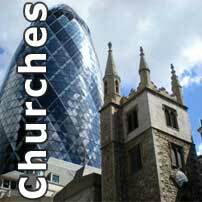 A second service was started in 2004 named Christ Church for a new congregation. 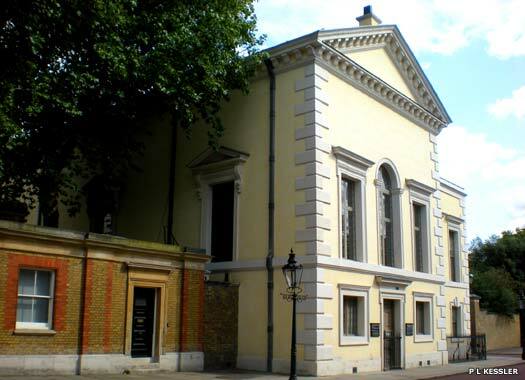 The Queen's Chapel is on the eastern side of Marlborough Road in St James, which joins Pall Mall to The Mall. 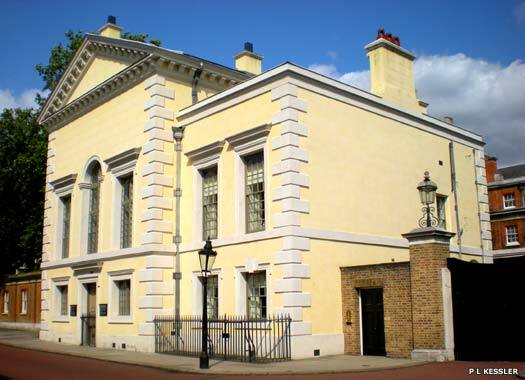 The Christian chapel was designed by Inigo Jones and built between 1623 and 1625 as an adjunct to St James's Palace. It is one of the facilities of the British monarch's personal religious establishment, the Chapel Royal Buckingham Palace, and should not be confused with the room that serves as that chapel in the palace, which is just across the road. The Queen's Chapel was built for the Roman Catholic Queen Henrietta Maria, wife of Charles I, at a time when Catholic churches were prohibited in England. From the 1690s it was used by Continental Protestant courtiers, built as an integral part of St James's Palace. When the adjacent private apartments burned down in 1809 they were not replaced and in 1856-1857 Marlborough Road was built between the palace and the chapel. It became a Chapel Royal again in 1938. 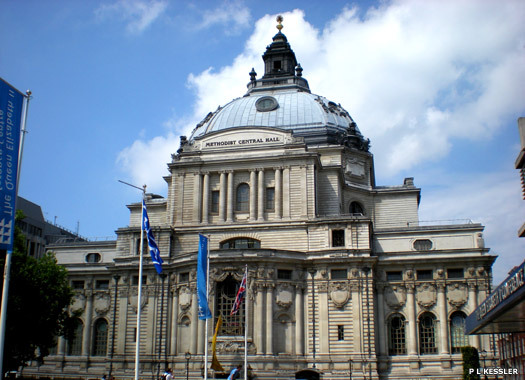 Methodist Central Hall, Westminster, is on Victoria Street in London, just off Parliament Square, next to the Queen Elizabeth II Conference Centre and facing Westminster Abbey. The hall was constructed in 1912 in order to mark the centenary of the death of John Wesley, founder of Methodism. It took over the site previously occupied by the 1876 Royal Aquarium, Music Hall & Imperial Theatre. Between 1932-2000 the hall was the headquarters of the Methodist Church. 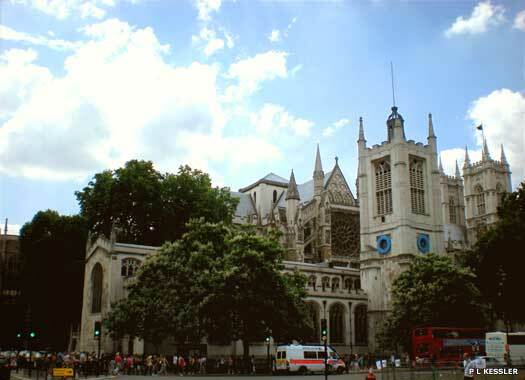 St Margaret's Church stands alongside Westminster Abbey, on its northern flank. Until 1540, the abbey itself was run by Benedictine monks. 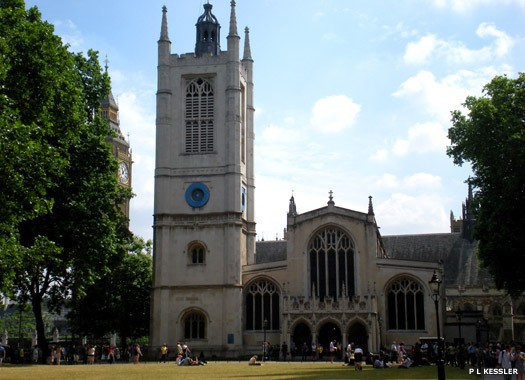 They found themselves being disturbed by the people of Westminster who came to hear mass, so they arranged for the construction of this church next to the abbey to serve the public. The church was dedicated to St Margaret of Antioch about whom little is known, although her cult was extremely popular in the Middle Ages. The church was built around the later part of the eleventh century and ministered by the monks until the Dissolution in 1540. The first church was Romanesque and survived until the reign of Edward III (1327-1377). Its nave was then replaced with one in the Perpendicular style. The entire church was rebuilt between 1482-1523, and has undergone restoration in the eighteenth, nineteenth and twentieth centuries. 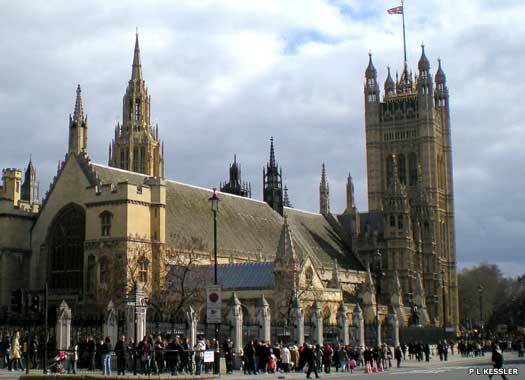 The church now serves the Houses of Parliament. Westminster Hall, Palace of Westminster is on the eastern side of St Margaret Street, between the River Thames and Westminster Abbey. The hall (on the left and centre of the photo) was built by King William Rufus between 1087-1100 at the northern end of his palace. It was designed originally as a place for feasting, but it also housed the first Parliament and attached to it was the later royal Chapel of St Stephen. The hall survived the fire of 1834 and the bombing of 1941. 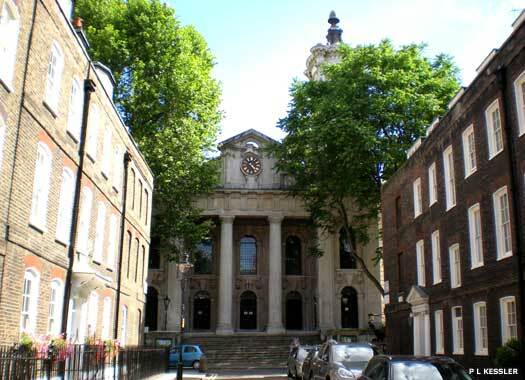 St John the Evangelist Smith Square sits at the centre of the square, with its entrance looking north onto Lord North Street. By 1711, the population of the parish of St Margaret's Church (see above) had grown to 20,000, so this church was built in 1728 to a design by Thomas Archer. It is regarded as one of the finest works of English Baroque architecture, featuring four corner towers (added for support after subsidence was found) and monumental broken pediments. The church suffered firebomb damage in 1941. It was sold to a charitable trust as a ruin and rebuilt as a concert hall. The parish was united to that of St Stephen Rochester Row, and the former church is now Grade I listed. 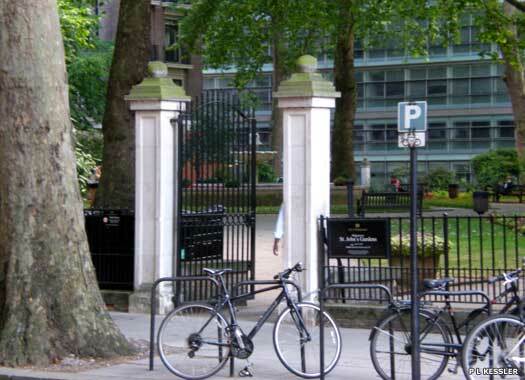 On the southern side of nearby Horseferry Road lay the burial ground for the church which remained in use between 1731-1853, when all of London's churchyards were closed by Lord Palmerston. It was reopened as St John's Gardens in 1885. 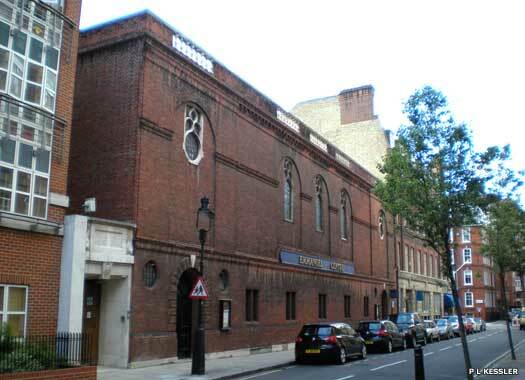 Emmanuel Evangelical Church faces onto Marsham Street, while the rear entrance (shown here) is on Tufton Street. This apostolic, cell-based church was founded on 1 January 1989. It acquired its present home in 1997, after stays at St Peter's Vere Street and two other addresses in London. The building's previous occupiers are unknown, as is the age of the building. The area for worship is circular, set in the centre of the building which is mostly hidden from the street.